Our Rural Youth Project is continuing to gain momentum, researching the challenges and aspirations of rural youth in the UK and making comparisons with our selected international countries (Australia, Austria, Canada, Sweden and USA). 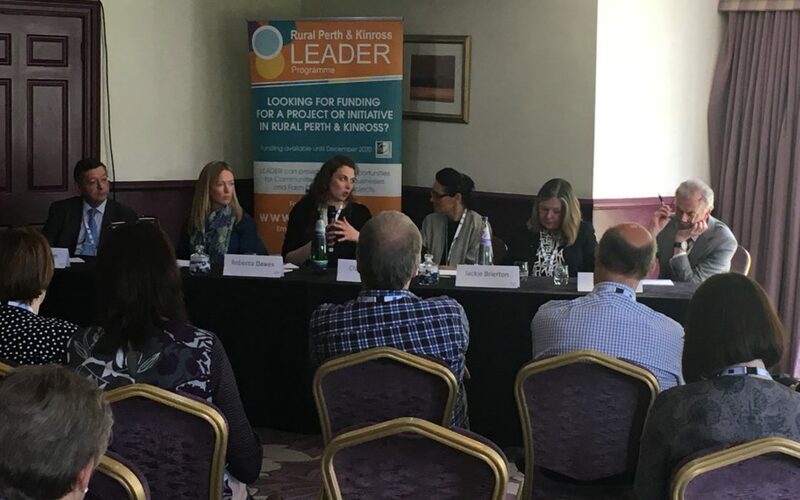 Last week, Rebecca delivered a presentation on the project at the Perth and Kinross LEADER Celebration event which was showcasing some of the projects that had received grant funding. The Rural Youth Project Ideas Festival will take place in Kinross from 1 to 3 August at Rebecca’s family farm so it was a great opportunity to meet businesses from within the local community who can help create and develop opportunities for rural youth.